Support for folder image QR codes, where images can be matched to a folder at import by incorporating appropriately encoded QR codes, was introduced into the software in Version 4.5. Consider the folder of images represented by the screen grab below. Each dance group has been photographed one or more times. Preceding each dance group a photo has been taken of a QR code encoded with the name of the dance group about to be photographed. An image with a QR code is matched to the folder it specifies. All subsequent images are matched to the same folder until the next image with a QR code is encountered whereupon the pattern is repeated. When importing images with a view to matching via QR codes, various options are available. These are set in the Images Import as shown in Figure 3 below. First and foremost the 'Use image barcode information' must be checked in order to "tell" the software that QR images are about to be imported. With this option checked furtehr options are then available. In most cases only the first, or 'lead' image has a QR code as in the screen grab below. With this in mind the option then exists whether or not to match this lead image or whether to even import it. The screen grab above indicates the most common import option - where the lead image is imported but not matched. This allows the user to visually reference the QR image if needed but since the QR image is not matched no special handling is required to avoid printing or exporting the image. As nothed at the top of this document in order for images to be matched to a folder the QR needs to encoded with either the folder name or the folderkey in the following manner. 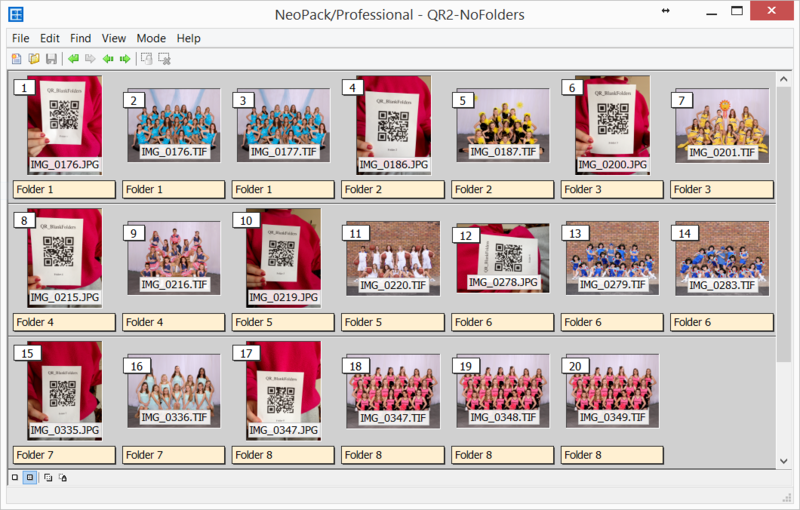 To this end a tool is available in the template designer - Add 2D Barcode - that allows QR codes to be added to any pack layout or fixed size item in NeoPackProfessional, PackBuilder or DataPost. This allows QR codes to be printed onto shoot cards and order envelopes in the same manner conventional barcodes are printed for use in CapturePost for example. 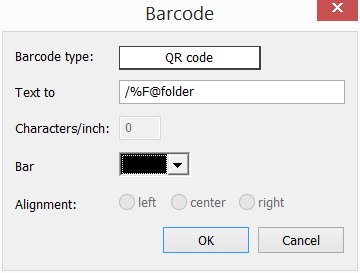 Whereas it is possible to 'hard code' the folder name into the QR code this has the obvious limitation that the QR encoding would need to be changed for every folder. Having created a template with the QR code it may be printed in either Point and Click Mode (pack layouts) or Item Sheets Mode (fixed size items). Fixed size items can also be printed in DataPost. In Point and Click Mode simply select the folder or folders required from the Folder tab. Then click the QR template. A page will be added to the print queue for each of the folders.